Like new golf front home in pristine condition overlooking golf course at Longleaf CC. Lovely cottage style exterior with stone accents and architectural elements add loads of charm. Bright and sunny interior with open floor plan for entertaining and casual living. Master suite and guest bedroom on main level with additional two bedrooms, bath and bonus up for family and friends. Tons of storage and unfinished attic that could easily be expanded for additional heated space. Enjoy maintenance free turn-key living at it's very best. Conveniently located off scenic Midland Road for ease of access to downtown Southern Pines and Pinehurst Village. Also close to shopping and hospital for day to day needs. 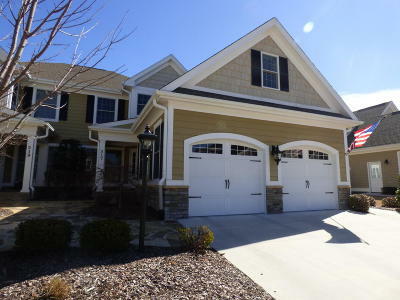 Exterior Features: Deck, Front Porch, Garage Door Opener, Insulated Windows, Natural Gas Avail. © 2019 Multiple Listing Service of the Mid Carolina Regional Association of REALTORS® All rights reserved. The data relating to real estate for sale on this web site comes in part from the Internet Data Exchange Program of the Mid Carolina Regional Association of REALTORS® MLS. Real estate listings held by brokerage firms other than Pinehurst Area Realty are marked with the Internet Data Exchange logo or the Internet Data Exchange thumbnail logo and detailed information about them includes the name of the listing brokers. The broker providing these data believes them to be correct, but advises interested parties to confirm them before relying on them in a purchase decision. Information last updated on 2019-04-25.